You'll be wearing these guys a lot. 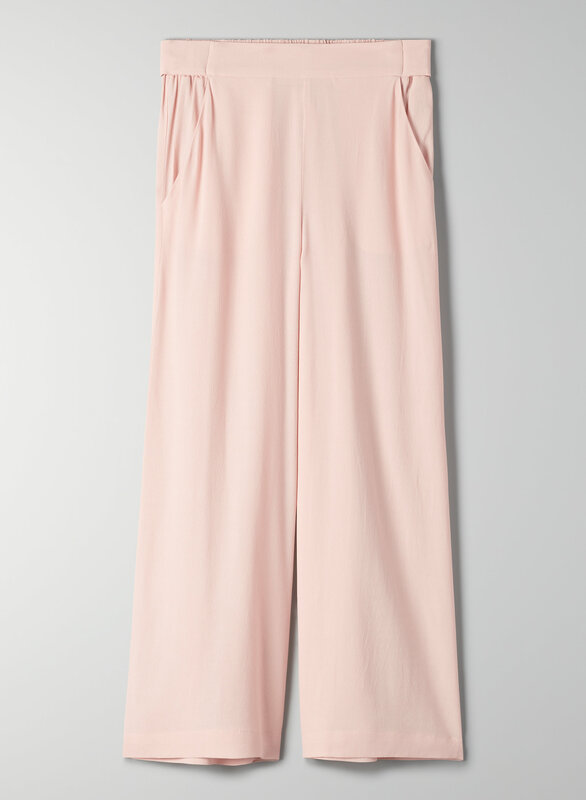 These are high-waisted, wide-leg pants with a subtle flare and an adjustable self-tie at the waist. They're cut from an exceptionally soft fabric that drapes beautifully. I ordered the rose quartz and the color as well as the cut are lovely. 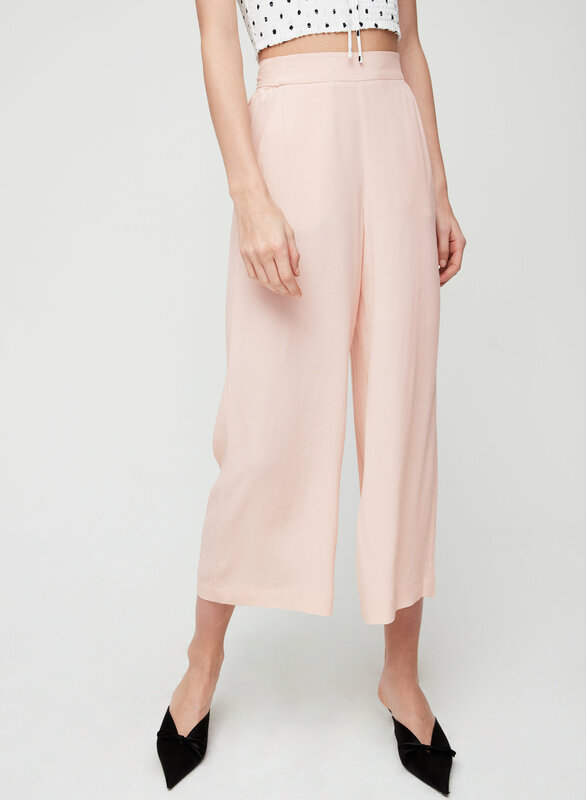 The pants definitely wrinkle quite easily, and at least the color I ordered is a bit see-through as the fabric is very thin. For size reference, I ordered an XS and typically wear a size 2 in other Wilfred pants. Just got these in store a couple weeks ago, and love them. They're flowy, loose, and chic, the bow at the back makes it. Sometimes I like to tie it in the front and you can't even tell they're meant to be tied at the back (I got them in black, so it's harder to see). Very comfortable and great with a t-shirt or sweater with a French tuck. Wore this on a Sunday I had to teach Sunday school. And thought: what the heck was I thinking?! But these are so comfy and versatile that they felt great. They are flow-y and look sharp. Must buy. 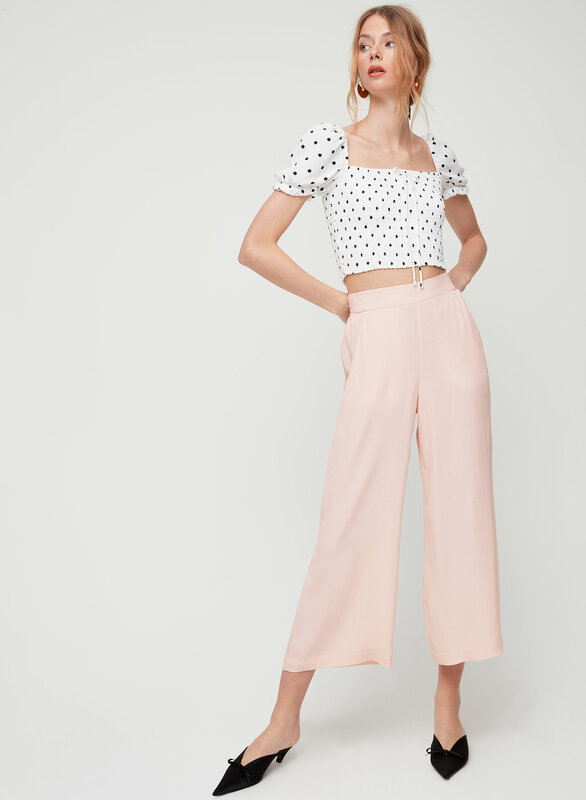 Love the fabric and fit of these pants.